A man struggles to balance his love for a woman with his hatred for her brother. 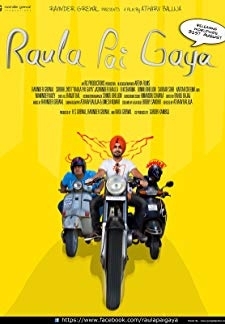 © 2018 Scratchu.com Mirza The Untold Story | Gippy Grewal, Mandy Takhar, Rahul Dev, Yo Yo Honey Singh, Jason Burkart, Bhupinder Dhaliwal, Binnu Dhillon, Paramjit Gill, Gurpreet Grewal, Dasaundha Kaler, Romy Kendola, Aman Khatkar, Upinder Randhawa, Param Sandhu, B.N. Sharma - Mirza The Untold Story (2012) | Punjabi Movie | 4.5/10 | Synopsis : A man struggles to balance his love for a woman with his hatred for her brother.... Watch Online!! !